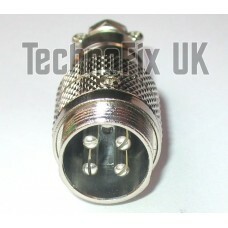 This is a male, cable mounting line socket which mates with 4 pin microphone plugs for making extensions and adapters. Metal body with sturdy cable clamp. 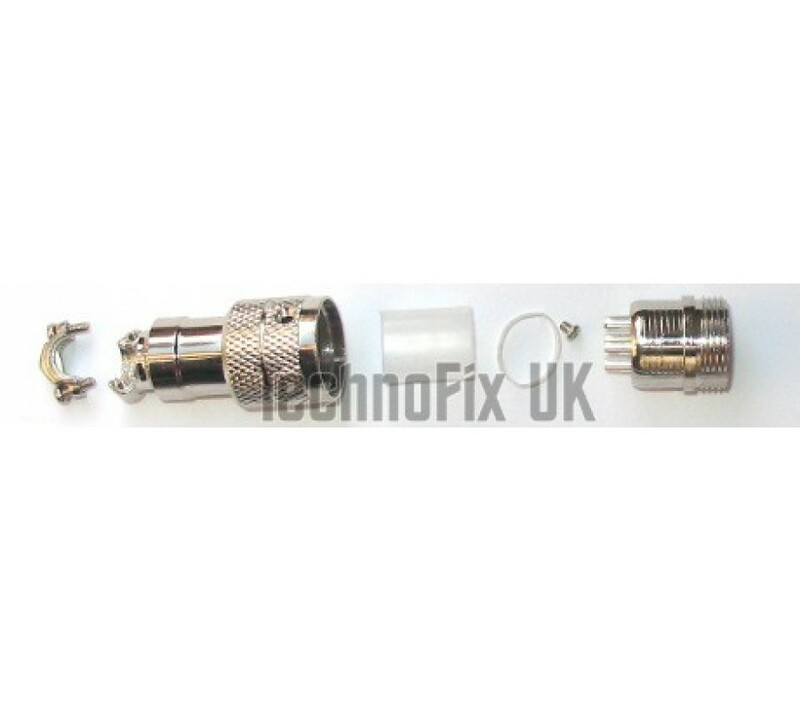 Accepts plug with screw-on locking ring. Solder tags. 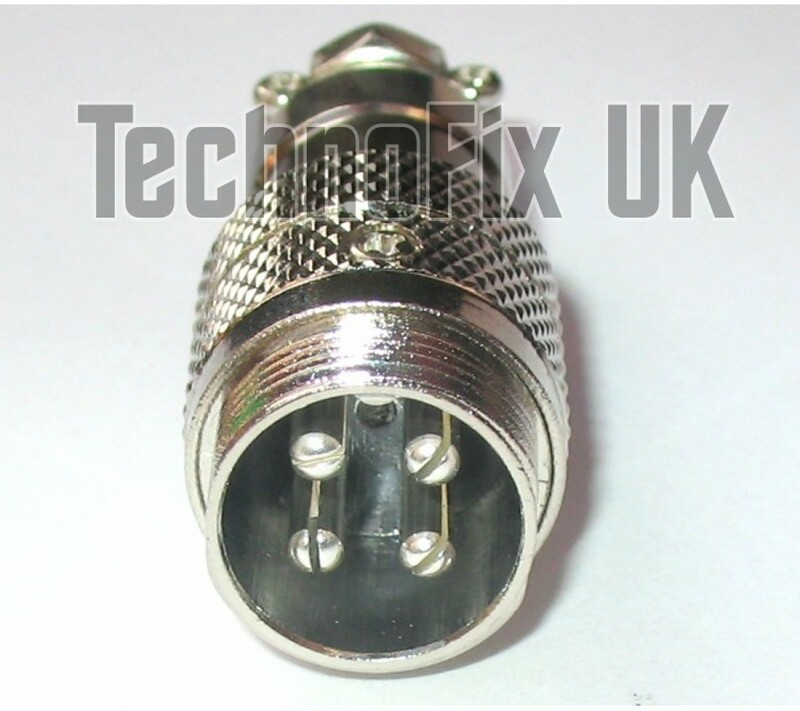 Popular connector used on both amateur and commercial equipment.Metal body with retaining nut and sp..